The anti-corruption watchdog has been asked to stop the sale of state assets during the transition period. 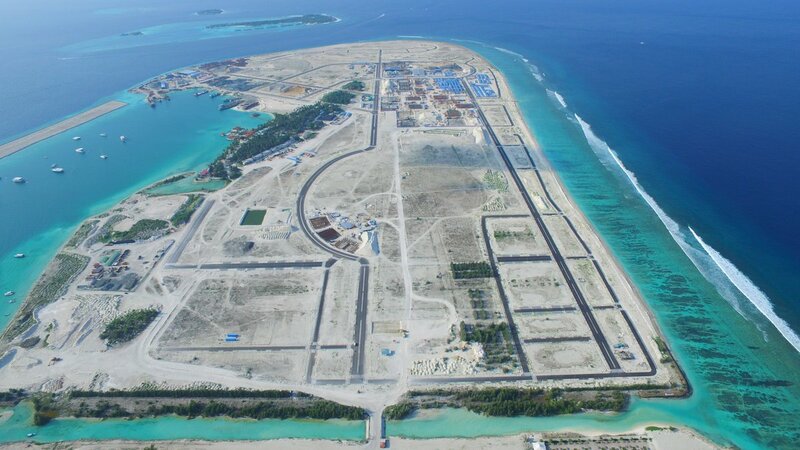 The Anti-Corruption Commission has halted the sale of 400 plots from Hulhumalé, hours after Housing Minister Dr Mohamed Muizz announced the sale on Sunday afternoon. 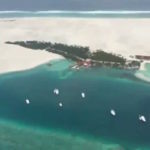 Defying the opposition’s call not to sell state assets before the transfer of power on November 17, Muizz announced that 1,000-square feet plots from the capital’s suburb would be sold for MVR400,000 (US$25,940) each. Successful applicants would be chosen at a lucky draw next week, he said. Applicants must be married and registered residents of Malé who do not own a plot larger than 600-square feet. Payments can be made in instalments over 10 years with an MVR25,000 down-payment to the Housing Development Corporation, the state-owned enterprises tasked with the urban development of Hulhumalé. 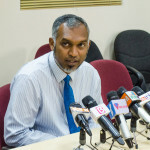 Muizz did not take questions at the press briefing called to announce the land sale. Despite the ACC letter, the housing ministry began issuing application forms as announced at 4pm. Several people have queued up at the ministry’s office. 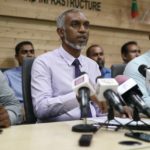 Shortly after Muizz made the announcement, the president-elect’s spokeswoman told the press that the opposition’s transition team on housing has asked the anti-corruption watchdog to stop the sale. The minister should respect the decision made by voters on September 23, MP Mariya Ahmed Didi said, noting that the Hulhumalé land was reclaimed years ago. Opposition candidate Ibrahim Mohamed Solih was declared the winner with a record 38,000-vote margin. 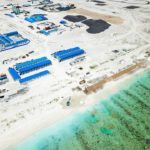 The outgoing administration of President Abdulla Yameen had planned to relocate and settle 70 percent of the country’s 338,000 population in a ‘Youth City’ developed on the artificial island near Malé. 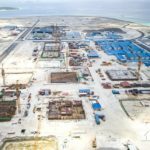 Some 240 hectares of land were reclaimed in the second phase of the Hulhumalé project, adding to the 188 hectares reclaimed in 2002. 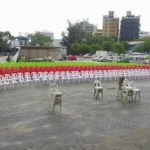 The ACC previously instructed the housing ministry to halt the Hiyaa housing scheme. State-owned enterprises were also told not to hire new staff and give out promotions and pay raises.